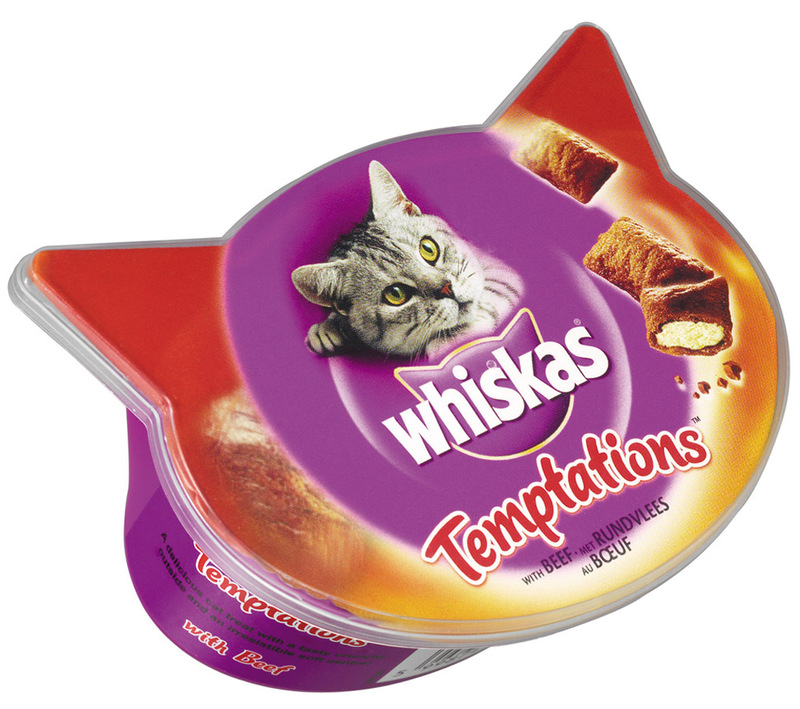 Whiskas Temptations are tasty treats which are made up from a crunchy shell surrounding a smooth and soft savoury centre. Foil packed for freshness and available in various delicious flavours, they're a winning combination that cats can't get enough of. Vegetable Protein Extracts, Cereals, Meat and Animal Derivatives (min. 4% Beef), Oils and Fats, Minerals, Derivatives of Vegetable Origin, Milk and Milk Derivatives. Vegetable Protein Extracts, Cereals, Meat and Animal Derivatives (including 4% Chicken), Oils and Fats, Minerals, Milk and Milk Derivatives (including 4% Cheese). There are currently no questions for Whiskas Temptations Cat Treats - be the first to ask one!